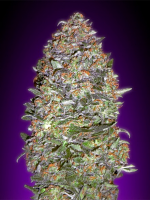 Mastadon Kush Feminized cannabis seeds from the Emerald Triangle weed seed bank, produce a high performance, feminized marijuana strain that never fails to impress. 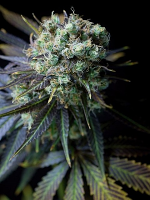 Boasting large, dense buds, large fan leaves, and substantial buds, these female seeds produce a sweet, peppery flavour, with a distinct Kush undertone. 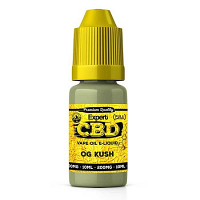 East on the throat and lungs, this smooth strain offers an initial high that is followed by a slow, relaxing effect. 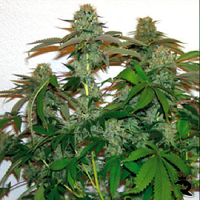 Fully equipped to help you to manage and treat pain and insomnia, these feminized seeds are also suitable for medicinal marijuana use. 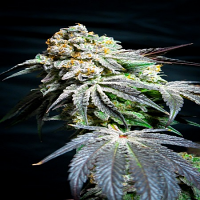 If you’re looking to buy cheap feminized, medicinal marijuana seeds online, Sensible Seeds offers over 3,000 different high performance strains.